Soft Skills Programs: Yea or Nay? Quite a few teachers over the past few years seem to have bought into the idea of teaching “soft skills” in the classroom. From what I can tell, “soft skills” encompass (but are not limited to) the following: collaboration, citizenship, grit, leadership, conflict management, and a whole whack of others. This blog is a response to a photo that creeped across my twitter feed the other day by @danieldmccabe, who, to my knowledge is an assistant principle and co-moderator of a twitter chat #NYEDchat. The real trouble I have with these so-called “soft skills” is that teachers really haven’t critically thought about what it means for their classrooms. Here is some food for thought on this issue. Where did “Soft Skills” Originate? 1) Physical – helping children understand their development so that they may grow up as healthy individuals. 2) Cognitive – the ability to think critically and analyze information, but also to have mastery in required content areas. 3) Language – ability to understand, process and interpret written, verbal and non-verbal cues. 4) Social – helping students to maintain healthy relationships, even during times of stress. 5) Ethical – to help students with their capacity to judge situations with fairness and to maintain a sense of justice. 6) Psychological – ability to manage emotions, self-esteem and self-awareness, and to help foster a positive sense of self. The original program had success in low socioeconomic areas. However, let’s note a few key differences between this program and what is happening currently. First, this program was designed by a PhD in child psychiatry, was implemented in a carefully designed and controlled setting for a specific group of individuals, and likely took years of precise and meticulous planning. Nowadays, it seems as if everyone and their grandma pretends they have a PhD in psychology and implements a curriculum that contains “soft skills” without critically thinking about what they are doing (take Growth Mindset as the current example). Teaching something like perseverance or self-awareness, which are complex psychological components, has become so over-simplified that it has serious potential to harm students. If you want to read more about the dangers of “pop-psychology” and “soft psychotherapy” see this blog by @C_Hendrick. Also of interest is this blog by @polymathish that gives insight into Alberta’s Teacher Advisory program, where time and content has been cut so that teachers – who may or may not be trained in psychology – educate students in certain “skills” to give the illusion that “individual student needs” are being met. This is despite the research-based evidence that indicates there is no distinct advantage of having a Teacher Advisory program. And this ties in to my second beef with “soft skills” teaching (and discussed in @polymathish’s blog as well): notice that Comer’s original program does not remove the requirement that students need to demonstrate mastery of content knowledge. This is a key point that I feel is certainly not addressed in today’s “soft skills” programs – likely due to the fact that current practices are neither carefully planned nor based on good research. Many of the teachers I speak with barely have enough time to cover all of the outcomes in the curriculum over the course of the year without any extra activities. 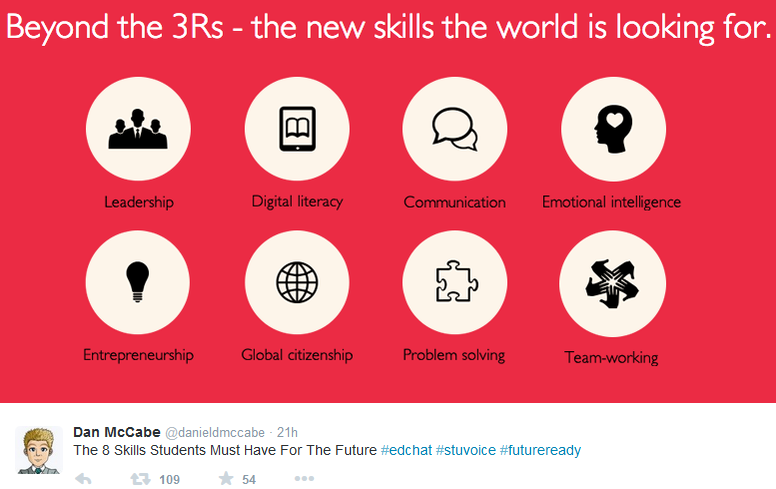 This implies that there must be a trade-off for the inclusion of “soft skills” activities into an already packed curriculum. So what gets removed from the curriculum then? Content knowledge. Students are being asked less and less to recall facts and apply basic skills, and are being asked more and more to problem solve open-ended and “context rich” questions. Fact recall and basic skills are fundamental to any program involving mathematics or science, and the problem with a “soft skills” program is that repeated practice with the fundamentals are tossed out the window in favor of a more problem-based approach. Many research papers I have recently read have shown that the basic mathematical skills of Canadian students entering first-year calculus is dropping at an alarming rate. In one study, more than 50% of the first-year students entering university-level calculus had computational skills equivalent to a student leaving elementary/middle school (Gr. 6-8). 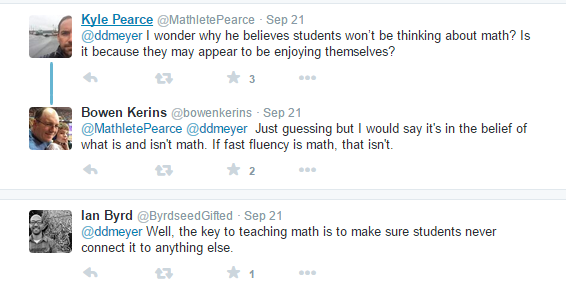 Some might argue that students who master the basic skills do not understand the material. This trade-off is centered on the fallacy that students do not need to memorize facts to understand the content. This fallacy is thoroughly debunked in Daisy Christodoulou’s book 7 Myths About Education. Long story short – automatic fact recall allows us to remove the constraints of our working memory, and the facts we commit to our long-term memory help us to create understanding and become efficient problem solvers. In addition to this, a ton of research within the last fifty years has shows us that use of problem-based learning and open-ended questions that introduce students to “content-rich” problems do not lead to student learning (some even report alearning loss!). See this article by Kirschner/Sweller/Clark, Project Follow Through and The Sutton Trust Report to name a few. So hopefully now you can see why I want you to thoroughly think about your implementation of a “soft skills” program, and why I get a little edgy when teachers promote “soft skills” in their classrooms. Are your students still required to master content knowledge in your “soft skills” program, or has content knowledge been removed at the expense of teaching these skills? Has the program in your class or at your school been carefully planned, and founded off of rigorous scientific research in psychology that shows that implementing a program dedicated to “soft skills” improves student learning/achievement? Are there dedicated psychologists working with you to ensure minimal harm, or have you become the “psychologist” despite not having the credentials? Some food for thought for you to ponder over.